The famous South Indian Gunpowder Chutney or Molaha Podi is chili hot, hence the interesting name. This Andhra (from Andhra Pradesh in South India) version of it was created by a family friend, Nagi. 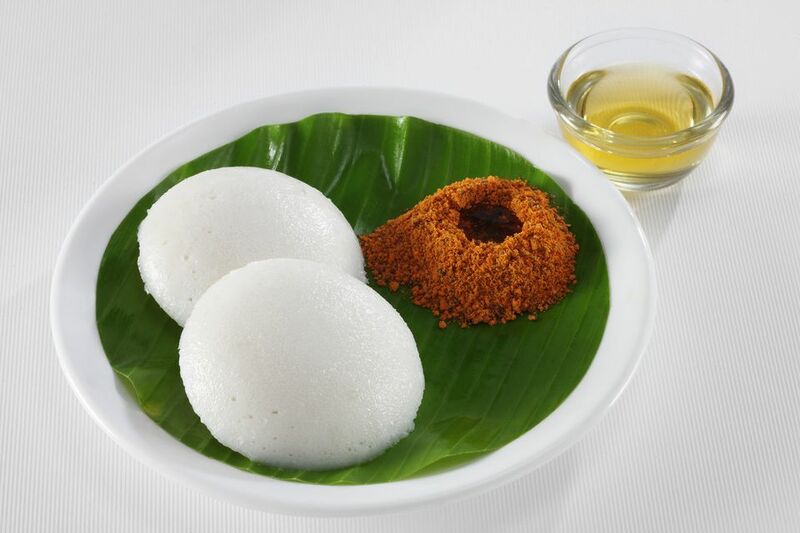 While it is traditionally enjoyed with Idlis (steamed South Indian rice cakes), Dosas (crispy savory South Indian rice pancakes) or Uttampams (savory rice and lentils pancakes) and Sambar, you can actually eat it with anything. One of my favorite ways to eat Gunpowder Chutney is sprinkled on top of a serving of freshly cooked, fragrant and long grained rice like Basmati. Drizzle the whole with a spoonful of ghee and you've got yourself an extremely simple yet delicious meal! Sprinkle Gunpowder Chutney on top of anything to add zing and heat! Heat a griddle or frying pan over a medium heat. Add the Chana and Urad daals and roast on very low heat till they start to turn a light brown in color. When this happens, you can remove them onto a plate and allow them to cool completely for later use. In the same pan, dry roast the cumin seeds and dry red chilies in the same way, till they turn darker and slightly aromatic. When this happens, remove them also fro the pan and put into the plate with the Chana and Urad daals and allow to cool completely for later use. Remove into a suitable serving bowl and add salt to taste and stir well to mix. To serve, make a well in the center of the powder and pour in some melted ghee. Serve with Idlis (steamed South Indian rice cakes) or Dosas (crispy savory South Indian rice pancakes) or Uttampams (savory rice and lentils pancakes) and Sambar or simply sprinkle it on plain boiled rice and drizzle with ghee. You can store Nagi's Garlic Gunpowder in a closed container in the fridge for at least a week. I have one coffee grinder set aside just for grinding my different spice powder mixes. Using a small coffee grinder means I can make up small portions of spice mixes easily and quickly. This means I can mostly use freshly made spices which are more potent and taste better. I make sure to keep coffee grinder clean and as dry as possible since any moisture would damage the spice powders and make them less potent. Not riding coffee and spices in the same grinder also ensures that my coffee does not smell and taste like spices!